This entry was posted in High Blood Pressure, Nitric Oxide and tagged Atherosclerosis, Blood Pressure, Cardiovascular Health, Endothelial Cells, Framingham Heart Study, High Blood Pressure, Hypertension, L Arginine, Nitric Oxide, Normal Blood Pressure, ProArgi-9 Plus by Dan Hammer. Bookmark the permalink. Male, 65 years old, 15-20 kms hard biking daily, 6-10 kms power walking daily, lift weights in gym workout 3x/week. My BP is 120/80 but I take daily medicine for it. Can I take Nitric Oxide supplements to increase muscle bulk for competition w/o danger to my BP? 1.You must make sure that you use proper breathing techniques when you’re training. Breath out on exertion and breath in when relaxing. 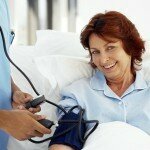 This way you do not cause your blood pressure to go up in response to high thoracic pressures. 2.If you use a Nitric Oxide supplement make sure the supplement also includes L-citrulline. Ideally you want to use at least 5 grams of L-arginine with 250 mg of L-citrulline. The reason why is L-citrulline will recycle the L-arginine for longer production of nitric oxide. Typically, if you use only L-arginine you will get a 30 minute to 2 hour window of improved nitric oxide production. If you add the L-citrulline you increase this window of improved nitric oxide production to 24 to 36 hours which is a huge health benefit in helping to repair your endothelium and recover from exercise. 3.I would also recommend that you make your doctor aware of your use of L-arginine/L-citrulline so that your health care provider can make any adjustments in your medication as needed. Hi Holly and thank you for your question. Yes, L-arginine is safe to use. It is the amino acid your endothelium needs to create nitric oxide – the master signaling molecule of your entire cardiovascular system. Nitric oxide is critical to your health for a couple of reasons. First, nitric oxide keeps blood platelet cells from sticking together to help prevent strokes and heart attacks. Second, nitric oxide relaxes the smooth muscle of your vascular wall to help you maintain normal blood pressure. In fact, nitric oxide is your body’s most powerful vasodilator so it is essential in helping you with blood pressure issues. Third, when nitric oxide is at proper levels in the blood stream it also repairs damage done to the endothelium. Most people have never heard of the endothelium but it lines all of your cardiovascular system. It lines the inside of your heart, arteries, veins and your capillaries are just extensions of the endothelium. It is now considered to be the largest secreting organ in your body. In addition to the amino acid L-arginine you should also use the amino acid L-citrulline. L-citrulline recycles L-arginine to help your endothelium properly produce nitric oxide over a long period of time. http://www.youtube.com/watch?v=B9b0eMbXkdY This YouTube will help you understand the key areas to look for in an L-arginine product. http://danhammerhealth.com/health-concerns/high-blood-pressure-and-endothelium/ This page will go into greater depth and detail about L-arginine, L-citrulline, and other natural ingredients and how they can be used to help those with high blood pressure issues. I am always looking for that edge in the gym, and will take anything and everything to get where I want quicker. I take Nitric Oxide, as part of the Dr Max Powers Anabolic Stack product, I use it and I take a pack of the stack and when I go to the gym, I have veins poping out of everywhere. I have them in my calfs, shoulders, arms, etc. When I take my stack of assault and this you really see a difference in your vascularity. My veins get huge and really noticable, and I have overheard people in the gym say “that guy has to be on steroids” lol, but I have never taken them and never will. these also seem to help with your pump, and give you energy to boot, but I dont know how much of that is the assault vs these pills. I have taken the assault by itself, and know a good portion if not all the energy is from that product alone. I do think this product helps more with the Vascularity of my body while working out.